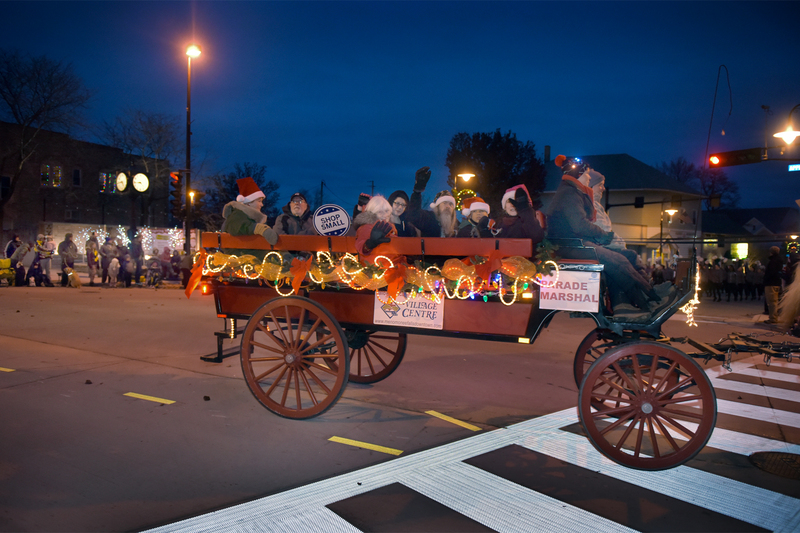 On November 25th, 2018, the Sunday after Thanksgiving, we had over 55 groups and Santa in the 1st annual Optimist Christmas Parade. The blizzard stayed south and the weather was great. 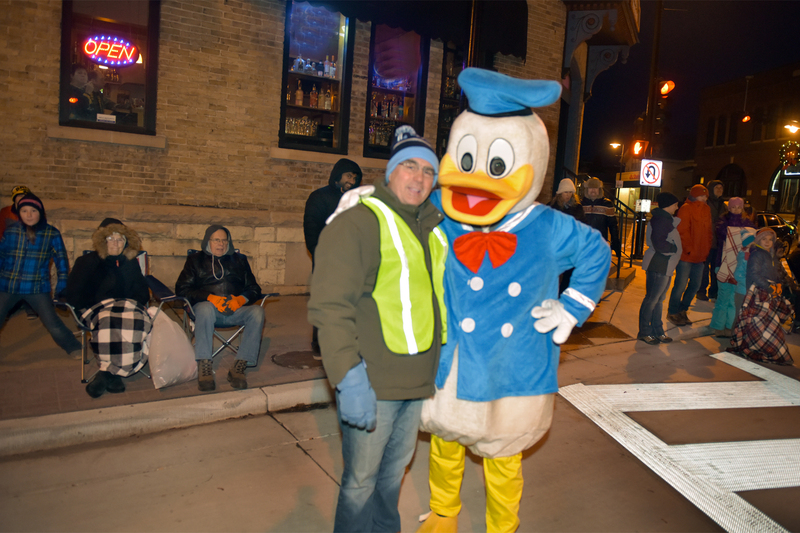 The parade started at 4:30, but multiple Optimists helped with Marshalling and the Staging area well before, getting all the groups lined-up and ready to go on the Christmas decorated night parade route. 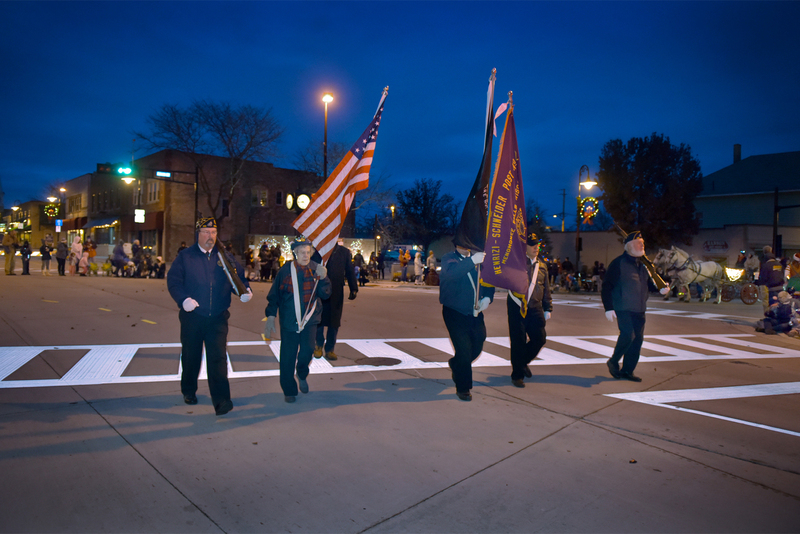 The parade started at Harrison and Main, went to the 4-corners and down Appleton to Arthur Dr. passing streets packed with children waiting to see Santa on the Knights of Columbus Float. 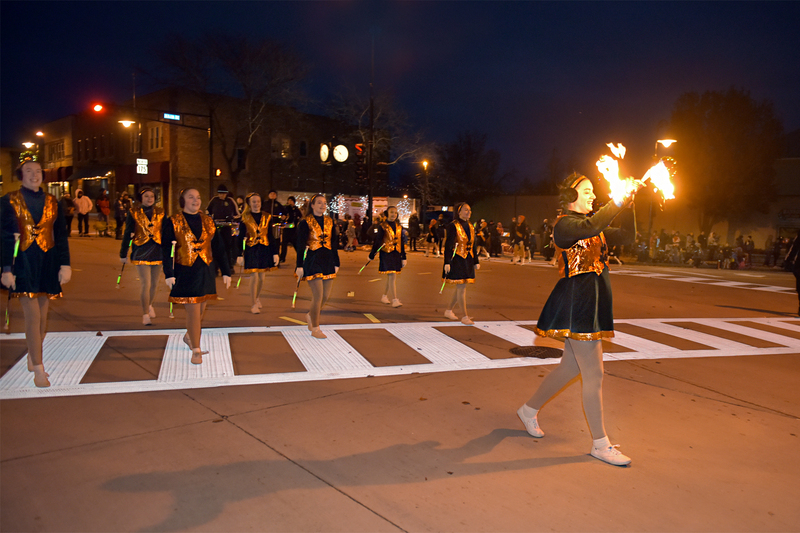 Community groups, animals, stilt walkers, clowns, dance groups, bands and advertisers provided a Christmas spirit in Downtown Menomonee Falls. 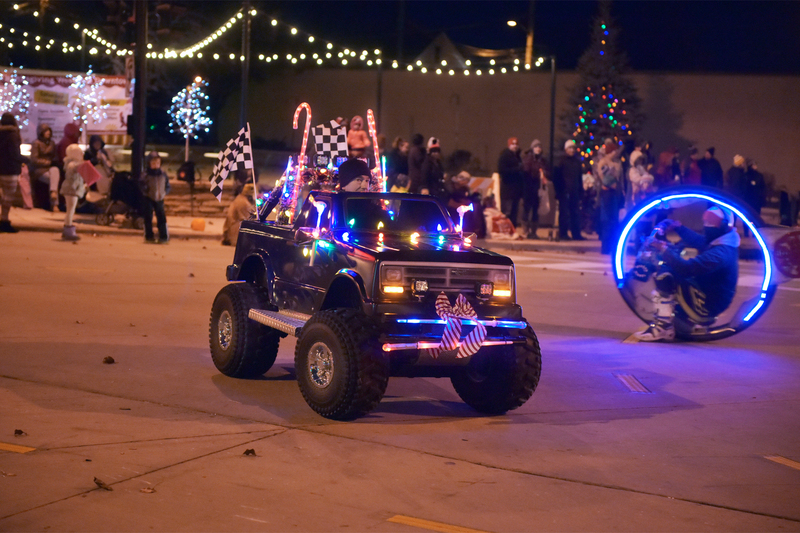 The Downtown Bid district also ran promotions and the tree lighting that weekend. Robin Tietz Turtenwald has been leading this parade for over 40 years with various clubs/organizations and now our Optimist Club has officially taken charge for the future. Without Robin’s past help, this parade would never have happened or made it so easy for the club to take over. Many thanks to Robin for her past work. 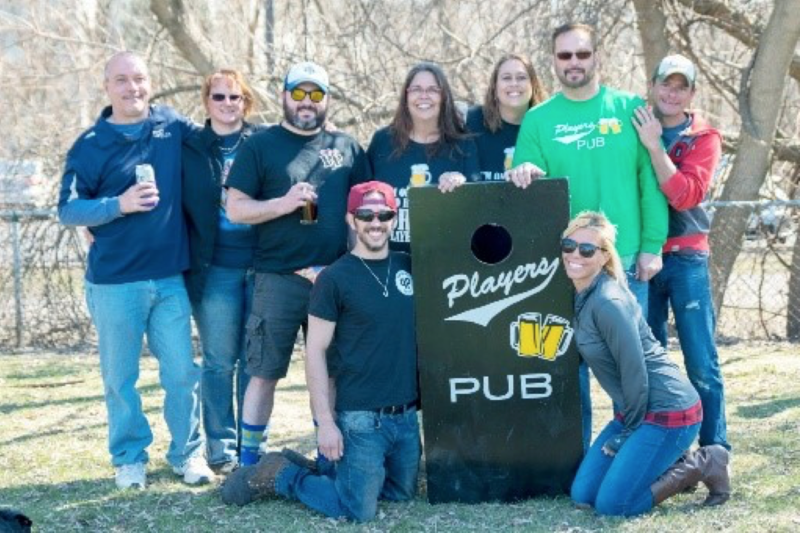 Once again the Optimists come through to make our community better and provide the best for kids.